If you think one simple step by one event professional doesn’t make a difference: think again. Even everyday decisions can make a big impact. In honour of Earth Day I’d like to provide a sneak peak at one of the many infographics featured in an upcoming book project I’m thrilled to be working on with Mariela McIlwraith and Nancy Zavada. 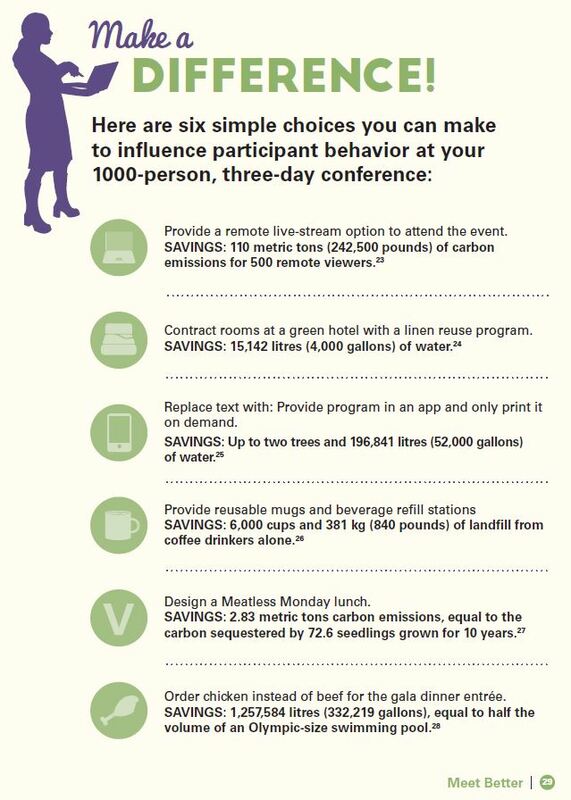 We’re just putting the finishing touches on Meet Better: 167 Easy Ways to Make Your Events More Environmentally and Socially Responsible. 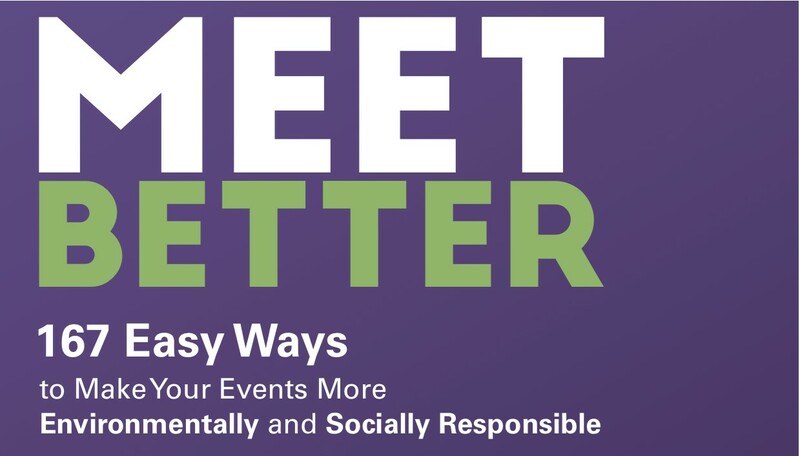 Meet Better is designed to fill a gap in event sustainability how-to’s by providing easy-to-read, simple field-tested advice to get started. While the book is full of logistical tips, we’re also excited to offer ideas to positively influence participant choices to reduce impacts and do community good. As you see in the infographic: the potential is great! Want to learn more? Copies of the book are available for pre-order here. Use the coupon code “preorder” for a 20% discount. Check out Mariela and Nancy’s blogs for other unique infographics to help you Meet Better!